Matthias Scherer specializes in international litigation and arbitration, and commercial contracts, advising corporate and private clients as well as State parties. For many years, he has featured in the International Who’s Who of Commercial Arbitration and of Construction Lawyers, and has been ranked by Chambers & Partners. In 2006, he was selected as one of the “45 leading arbitrators under 45” by GAR (Global Arbitration Review) and in 2014, he entered Chambers’ global-wide ranking of international arbitration counsel, which includes a select group of only 80 lawyers worldwide. He has acted as counsel in more than 200 arbitration and ADR proceedings under various rules (ICC, ICSID, Swiss Rules, LCIA, UNCITRAL, VIAC, CAS/TAS, Stockholm Chamber, etc. ), including in ICC ADR and pre-arbitral referee proceedings, and subject to both civil and common law procedural and substantive laws. He is regularly appointed as arbitrator by parties and major arbitration institutions (ICC, Swiss Chambers, ICSID, LCIA, Stockholm Chamber of Commerce, Dubai International Arbitration Centre, VIAC, Permanent Court of Arbitration (PCA), the Netherlands Arbitration Institute (NAI), the Danish Institute of Arbitration). He frequently represents parties in arbitral matters before the Swiss Supreme Court. Matthias Scherer is experienced in contracts disputes involving most aspects of commercial transactions, with a particular emphasis on joint ventures, shareholders, M&A, energy, construction and engineering, distribution and State-investor disputes. He is also member of the Disciplinary Board of the Fédération Internationale de Gymnastique (FIG). He is a frequent speaker on international disputes at conferences and has published extensively in this field. He is the editor-in-chief of the journal of the Swiss Arbitration Association, the ASA Bulletin and the Swiss correspondent for construction and engineering matters for the International Law Office, a web-based legal newsletter. Matthias Scherer is a past vice-chair of the International Bar Association’s arbitration committee and past member of the arbitration committee of the Swiss Chambers of Commerce and the Geneva Chamber of Commerce and Industry (administering arbitrations subject to the Swiss Rules). He is also a member of numerous professional associations. Matthias Scherer was a foreign intern at Skadden, Arps, Slate, Meagher & Flom LLP in New York, USA (1998-1999). He holds an LL.M in European Law from the University of Lausanne (1993) and a law degree from the University of Bern. Matthias Scherer is described by respondents as “a leading arbitration practitioner, with a specialty in construction disputes”. He is also well versed in advising corporate, public and private clients on a range of other commercial disputes. Geneva-based Matthias Scherer enjoys an excellent reputation for his adept handling of commercial and investment treaty disputes. Impressed interviewees describe him as "really bright," and an "excellent lawyer who is extremely knowledgeable and has extensive arbitration experience." Matthias Scherer acts as president in a number of high-profile ICC arbitrations. He also has a strong focus on investor-state arbitrations, usually acting for the state. Sources describe Scherer as "very experienced, calm, a good drafter and a good lawyer." Matthias Scherer stands out as “very experienced and sophisticated arbitration counsel” and is also widely known as “an excellent arbitrator." He acts in major commercial and investment treaty disputes and possesses extensive expertise in commercial contracts. Matthias Scherer is held in high regard for his skilful representation of clients in commercial and investment treaty arbitrations. He has substantial experience appearing before all major arbitration institutions, including the ICC, ICSID, LCIA and UNCITRAL. Clients say that Matthias Scherer is "calm, pragmatic and an excellent strategist," while peers in the Swiss market note his ability to handle complex global arbitrations either as arbitrator or as counsel. He often defends European states in high-value investment arbitrations and has further experience in Swiss Rules and ICC arbitrations relating to infrastructure or energy projects. One client values Matthias Scherer's "unbelievable knowledge of international arbitration and its political aspects." His experience includes acting as co-counsel on arbitrations relating to tax enforcement proceedings, joint ventures and construction. Matthias Scherer is “one of the most impressive arbitration lawyers in Switzerland”, and is particularly well regarded for his fantastic disputes work. Arbitration specialist Matthias Scherer draws significant praise from his peers. One source remarks that he is "an outstanding advocate." He has recent experience acting as arbitrator and as counsel representing both companies and national governments. Matthias Scherer acts on a wide range of disputes across the energy, construction and infrastructure sectors as counsel and arbitrator. Interviewees admire his "highly-respected practice" and describe him as "an outstanding advocate." Matthias Scherer “never fails” to deliver “intuitive and insightful” counsel to clients in relation to both domestic and international arbitration proceedings. "A sharp lawyer with a lot of experience." He plays a leading role in BIT arbitrations relating to energy supply contracts under ICSID and ICC rules. Lalive is ‘in a league of its own’ regarding international arbitration and the ‘strength in depth of its first-class team is outstanding’. Among its ‘many exceptionally bright lawyers’ is the ‘professional’ Matthias Scherer. Matthias Scherer delivers “intuitive” counsel to clients who include corporate as well as private parties. Matthias Scherer is “a superstar” of international disputes arising out of commercial transactions, including construction, joint ventures, M&A and energy arbitrations. According to a number of respondents he is “outstanding in all regards”. "A very strong lawyer, both as an arbitrator and as counsel." Matthias Scherer is an “undisputed leader” in this field. Matthias Scherer is highly regarded for his “top-notch” litigation and arbitration skills, which he puts to good use in energy-related disputes. He is described by sources as "very impressive, knowledgeable and intelligent." Geneva-based Matthias Scherer is described as "a fabulous technician and a walking encyclopaedia," with sources particularly impressed with his knowledge of case law. Matthias Scherer is hailed as an "extremely bright and switched-on" practitioner. He acts as an arbitration counsel, as well as sitting as an arbitrator, and sources say: "He is an outstanding advocate - impressive, knowledgeable and intelligent." The “distinguished” Matthias Scherer is recommended for his “tremendous abilities”. The “incredible” Matthias Scherer is “one of Lalive’s heavyweights”, noted for his arbitration, energy and construction and real estate practice. The “very bright” Matthias Scherer has acted as counsel in more than 100 arbitration proceedings under various rules and is a “star performer”. Matthias Scherer, who frequently represents parties in arbitral matters before the Swiss Supreme Court and is “incredibly impressive all round”. Matthias Scherer is commended for his energy-related arbitration work and is a “go-to lawyer” for many disputes in the field. Matthias Scherer is praised for ‘striking a good balance between strength and diplomacy’, as well as for being a ‘great case manager who is never stressed’. He is admired by interviewees for the hard work and good judgement he provides when acting as arbitration counsel. ‘He's great in cross examination - he easily sees the weak points of his opponents'arguments’. Matthias Scherer is praised for his ‘vast knowledge' and is a veteran of more than 100 proceedings. The ‘incredibly bright' Matthias Scherer has acted as counsel in more than 100 arbitration and ADR proceedings under various rules, and is also regularly appointed as arbitrator. 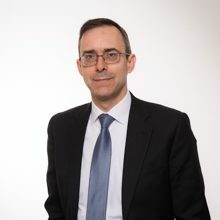 Matthias Scherer is a ‘highly regarded' litigator and arbitrator in energy proceedings, having a ‘wealth of experience" in commercial contracts. Matthias Scherer is 'hardworking, quick and very professional'. Matthias Scherer is a good choice for construction, energy and commercial disputes. 'He is one of the best there is', says an interviewee. 'He gets things moving and is conscientious, firm and fair'. Top-notch arbitrator and counsel Matthias Scherer is perceived as 'a true international arbitrator'. Someone 'you can always count on'. The 'subtle and convincing' Matthias Scherer has a 'phenomenal understanding of clients' needs'. 'You only ever hear good things about' Matthias Scherer. 'An excellent team player and a brilliant lawyer'. Decisions of private bodies and institutions cannot be challenged under Art. 190 PIL Act – Really? In: Bernhard Berger, Michael E. Schneider (Eds. ), Inside the Black Box: How Arbitral Tribunals Operate and Reach Their Decisions, ASA Special Series No. 42, Juris, 2013, pp. 27. When should an arbitral tribunal sitting in Switzerland confronted with parallel litigation abroad stay the arbitration? Der Ausländerarrest nach revidiertem SchKG - Ausreichende Binnenbeziehung durch Wahl eines schweizerischen Schiedsortes oder des Schweizer Rechts?